The only thing missing from this fireplace is the fire. 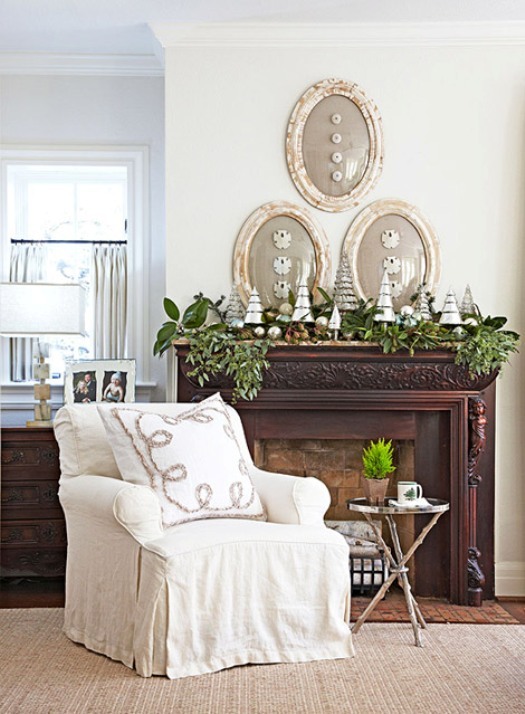 Another beautiful mantel and setting for the holidays, or all winter long. decorated of course by Lisa Luby Ryan. 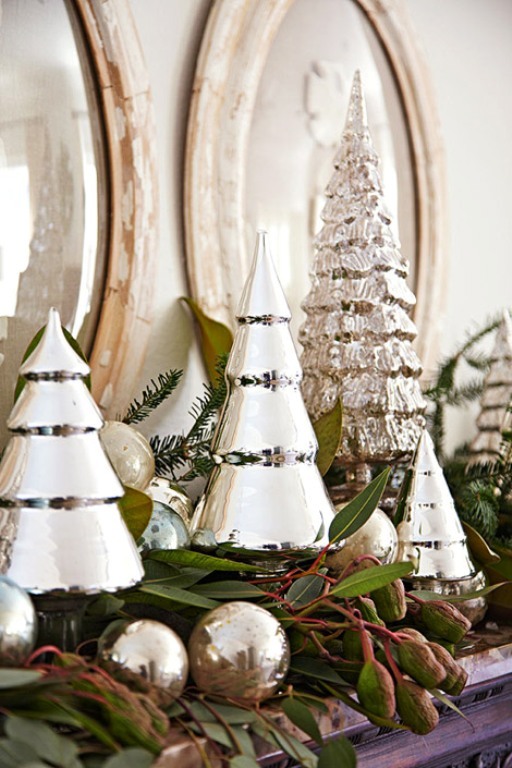 A beautiful contrast of light and dark, and of course vintage mercury glass ornaments and antique mirrors. Hope you are enjoying a wonderful week.